If both members of a couple are carriers for the same recessive genetic disease, there is a 25% chance that each of their children will be affected with this disease. 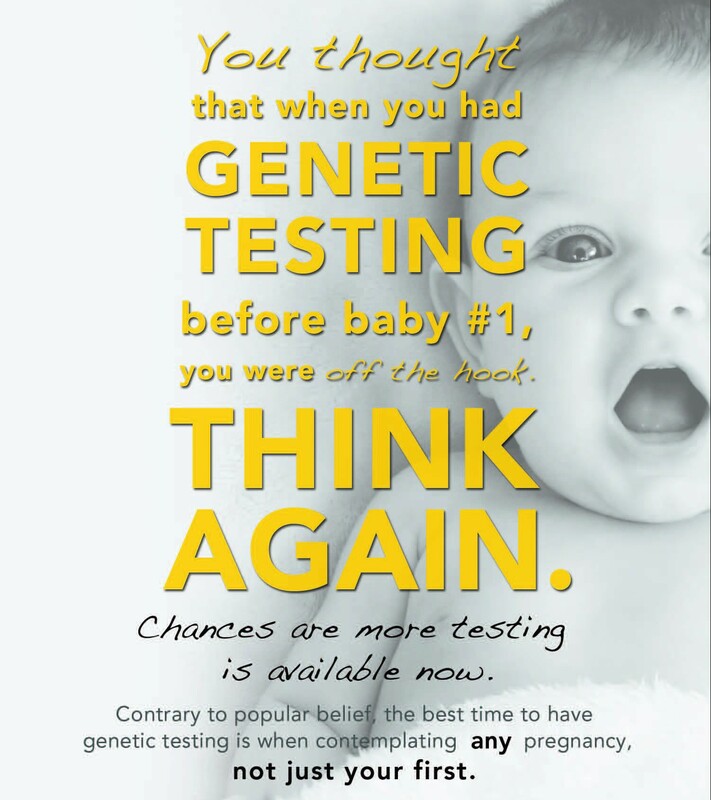 Knowing your carrier status is important because reproductive options for building a healthy family are available to ‘carrier couples.’ As more diseases are being added to testing panels, there is a greater likelihood that a Jewish individual would test positive to be a carrier for one or more of the genetic diseases on the panel. You can read this brief information sheet, watch this short PSA about carrier screening or register on MyJewishGeneticHealth.com to watch a longer lesson on this topic. The Program for Jewish Genetic Health recommends that at least one member of a Jewish couple undergoes carrier screening before contemplating a pregnancy. This could mean as early as before starting to date, before getting engaged, before getting married, or while planning a first or subsequent pregnancy. It is important that you speak with a provider to determine which panel is best for you, since there are many testing labs that offer Jewish carrier screening, and each lab has its own unique list, or panel, of diseases. There is no ‘ideal panel’ or ‘magic number.’ (Some examples of current panels being offered can be found here and here.) Many of the panels cover a similar selection of diseases relevant for those of Ashkenazi Jewish descent. Some labs may offer testing that is more appropriate for Jews of Sephardi/Mizrahi backgrounds. If you have a family history of a specific genetic disease, there may be a particular panel or a specific genetic test which is more appropriate for you.